I remember watching Teen Wolf with Michael J. Fox back in 1985 and I remember totally crushing on the female lead in the film Boof (Susan Ursitti). For some reason I totally forgot the awesomeness that was the Buffy The Vampire Slayer tv series, also based on a less stellar movie (but a very hot Kristy Swanson). Whedon tapped into something amazing there and helped redefine television with some brilliant tales. And honestly, I think what Jeff Davis and his writers’ room is doing with this series may, in the long run be comparable. This is coming from someone who loves all things Whedon (I can find things to like in Alien: Resurrection!). What Davis has done with the original material by Jeph Loeb and Matthew Weisman is take the basic idea, and built an amazing world up around it, filled with completely realized characters, real issues, terror, pathos, love stories, brilliant humor, and some of the best written parents in any teen show I have ever seen. Scott McCaul (Tyler Posey) (no longer Howard as seen in the movie) is a fun likable high-school sophomore, who is a bit socially awkward, doesn’t play sports (well) and hasn’t got a girlfriend, and works part-time with a veterinarian, Dr. Deaton (Seth Gilliam) . He lives with his single mother Melissa (Melissa Ponzio), who works as a nurse, and is doing the best she can to raise her son and influence him properly while still letting him be who he is. His best friend is Rupert “Stiles” Stilinski (played by the scene-stealing Dylan O’Brien), whose father (Linden Ashby) is the town’s Sheriff. And as a side-note the relationship between Stiles and is dad is so well-written and acted, each time these two share a scene, it raises the game of the entire show, which is already high to begin with – and the two of them have some of my favorite scenes and dialogue in the entire series! Scott’s whole life takes a horrifying and bizarre left turn, when he is attacked and bitten by a werewolf! All of a sudden he has heightened senses, strength, and when the full moon rolls around a bit of a hair problem. And somewhere out there is the wolf who turned him, the Alpha. As Scott and Stiles investigate to find a way to cure himself, or just find out what is going on, they find that there is more going on in their little town than the every thought, including a family who has a long and bloody history of hunting down and killing werewolves, Chris Argent (JR Bourne), his wife Victoria (Eaddy Mays) and sister Kate (Jill Wagner). They also find Derek Hale (Tyler Hoechlin) who knows what’s happening to Scott, because he’s a werewolf as well, but doesn’t have Scott’s moral codes or if he does, doesn’t care about them. He can be cruel and vicious when he needs to be. But not everything is bad. With his new abilities Scott makes the lacrosse team, and is so good, he is made co-captain with local jock-douche Jackson (Colton Haynes) (someone else we learn (in season 2) that he isn’t all he seems, and isn’t always a tool). The team itself is coached by probably the most comedic character in the series Coach Finstock (Orny Adams), who has some of the funniest bits of dialogue, and seems like a big kid himself. He also gets the girl, in the form of smart, brassy, and adorable Alison (Crystal Reed), who learns a terrible secret about her family while falling in love with Scott. It seems small towns always have the biggest secrets. 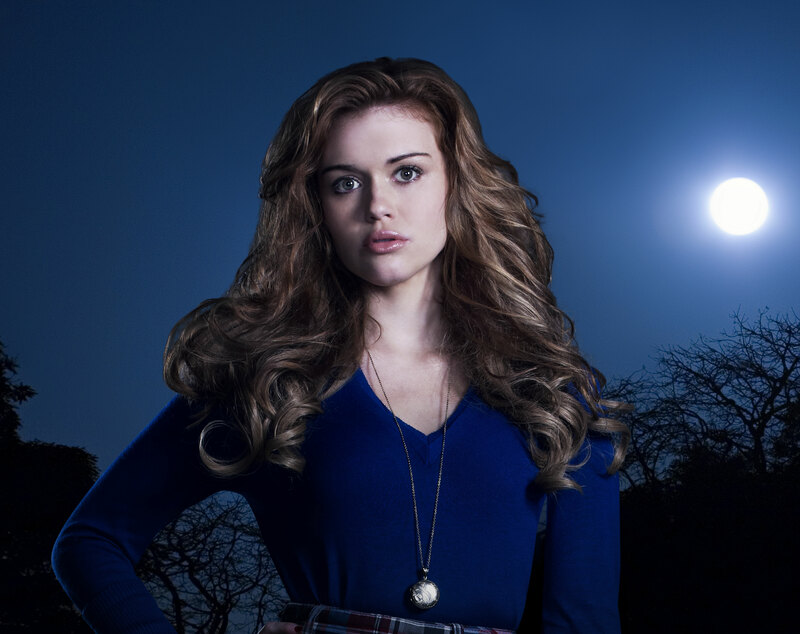 Rounding out the main cast is Lydia (Holland Roden) who could’ve been seen as this series Cordelia (Charisma Carpenter). But right away, we see that there’s more going on in her head than anyone gives her credit for, and as the first season reaches its climax with its search for the Alpha, terrible things happen to her, and set her up for some amazing things in season 2. With season 2 we see the introduction of a new shape-shifter, a kenima, a smake-like being that makes use of a paralyzing poison before it kills its victims. Gah! And Derek is recruiting for his own pack turning two of Scott’s classmates Isaac (Daniel Sharman) and Erica (Gage Golightly). 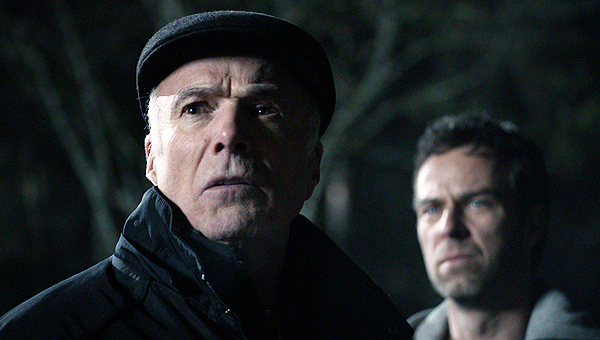 The Argents are welcoming more member’s as well, as Gerard Argent (Michael Hogan) arrives in town, and right away proves he’s more dangerous than the rest of his family. Through it all, Scott struggles with classes, a chemistry teacher. Mr. Harris ( Adam Fristoe) who seems to have it out for him, trying to balance a love life with Alison while he fights not only for his survival but to find out who he actually is. Each season has a planned arc, though each episode can stand on its own, and each one moves each character forward, all of them are constantly evolving. Scott and Stiles, and the rest of them, are not the same characters we met in Season One. Yes, much like Buffy the series can be seen as an analogy for growing into adulthood, dealing with high school issues (but on a monstrous scale), as well as life. But it’s the completely realized mythology of the world, and the characters who inhabit it that draw you in. Yes, it’s advertised as a teen show, and there may be a stigma associated with that genre, but in this case, you can ignore it. The show is whip-smart, entertaining, funny as hell, creepy (including a lot of “Ohh!! That’s just not right!” moments) and sometimes downright scary. Season 2 is ramping up towards a finale, and I was pleasantly surprised to see Buffy alumnus Bianca Lawson (Kendra the vampire slayer) show up, with a warning that there is something even bigger and darker coming. Catch up on this show! It deserves your attention, and is so entertaining! It’s a smart show with a great creative team in front of and behind the camera, and I am in for the long haul on this one!